Eggs are one of the best sources of protein on the planet, but the good ones are expensive and the cheap ones are scary, especially in light of the recent recall. Fortunately there is a solution. Build a chicken coop and get a few laying hens. You will have all the eggs you need and maybe some to sell, trade, or give away. Home grown eggs are a great gift. And once the coop is built they are basically free. OK, you do need to feed them, but the cost is very minimal. They need a bit of chicken feed, but they also it bugs and leftover produce from the garden that is too far gone to be of interest to humans. They repay the garden with excellent fertilizer. The eggs produced at home by your own flock are of amazing quality and freshness. Once you have tasted one you will never want a store bought egg again. And the birds themselves provide great amusement. You will need to figure out how many hens you need and build accordingly. Chicken housing has two parts, the coop, or shelter where the hens roost at night and lay the eggs (usually) and the run or yard where they forage and get exercise by day. Different breeds have slightly different space requirements. This article at http://poultryone.com/articles/housing.html has a useful table. You may also want to try a chicken tractor, or portable pen with no bottom that can be moved around the field. The entire chicken house must be built to keep predators out. Once you have the chicken yard set up, it is time to decide on what breeds interest you the most. There are literally hundreds of types of chickens. By choosing a less common breed you will be helping to preserve biodiversity. White Leghorn chickens have created a dangerous monoculture. So get a different breed. The eggs that your flock produces may be brown, green, or even blue. To help decide go to http://www.backyardchickens.com/breeds/breed-search.php and use the breed selection tool. You must decide if you want a rooster or not. 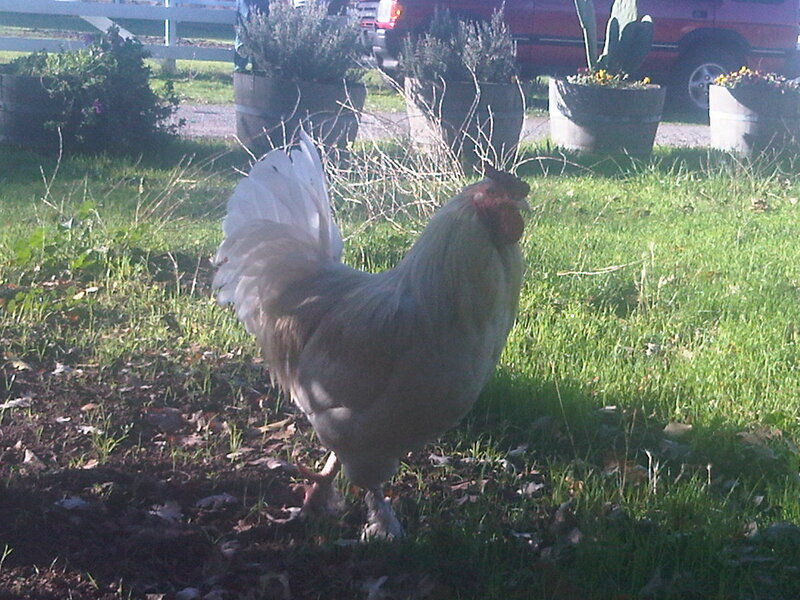 The bad thing about a rooster is the four A.M. wake-up call. They also may peck the hens. The good thing is being able to increase your flock without further expense. Just remember that you should only have one rooster to cover your flock. More than that can cause aggressive behavior, and the dominant rooster might kill the other. You will need to learn a little about chicken health, and have a good veterinarian, one that specializes in livestock. Keeping them clean, protected from predation, and well fed is a good start, but they still may need a doctor every so often. So, whether you live in the city or the country, consider adding a flock of chickens to your household. Every time you eat an egg you will be happy. And you can sell the overflow for about five dollars a dozen.